ON Thursday 22 May voters went to the polls across South Down to elect councillors who will serve on the new Newry, Mourne and Down Council which begins on 2015 with a ‘shadow’ council now currently running and they will work in this format until then with the current Down District and Newry and Mourne Councils. 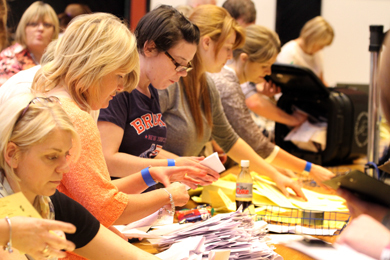 Count staff work their way through the rhousands of ballot papers. The turnout to the polls was low and was a concern to politicians and political observers alike as the day progressed. The turnout across the area was 52.1% and the total number of voters who voted was 118,977. 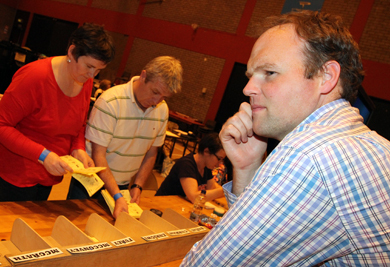 The count took place in the Newry Sports Centre over the following Friday and Saturday. The weather was fair to warn during the election day and was not a contributing factor to the low poll. ALLIANCE – Patrick Brown, Patrick Clarke. DUP – Gareth Craig, Glyn Hanna, Harry Harvey and Billy Walker. INDEPENDENTS – Cadogan Enright, Davy Hyland, Jarlath Tinnelly. SDLP – Terry Andrews, Michael Carr, Dermot Curran, Laura Devlin, Geraldine Donnelly, Gillian Fitzpatrick, Kate Loughran, Declan McAteer, Kevin McAteer, Colin McGrath, Mark Murnin, Brian Quinn, Gareth Sharvin, Gary Stokes. SINN FÉIN – Naomi Bailie, Stephen Burns, Charlie Casey, Willie Clarke, Sean Doran, Sinead Ennis, Valerie Harte, Terry Hearty, Liz Kimmins, Mickey Larkin, Roisin Mulgrew, Pol O Gribin, Barra O Miuri, Mickey Ruane. UUP – Robert Burgess, Harold McKee, David Taylor. Prior to the election there was a feeling that Sinn Fein could become the dominant party in South Down with a significant majority but with the vagaries of the election this was not to be as they ended up level with the SDLP with 14 seats each. With 2 Alliance, 1 UKIP, 3 Independents, 3 UUP and 4 DUP, these 13 seats could make an interesting dynamic as the political life of the chamber and its committees unfolds. SDLP South Down MLA Karen Mckevitt and Margaret Ritchie MP with Cllrs Colin McGrath, Gareth Sharvin and Dermot Curran who all were returned by the electorate in Downpatrick. The shock result in the Downpatrick area was Sinn Féin stalwart Eamon Mac Con Midhe losing his seat with newcomer party colleague Naomi Ballie winning through on a fairly strong poll of 1031. It developed into a battle between Mac Con Midhe and Independent Cadogan Enright who took 839 first preference votes benefited from Curran’s transfers bringing him over the finishing line for another term as councillor winning the fifth seat. Cllr Enright said: “The Downpatrick area boundaries remained unchanged between 2011 and 2014 except for the loss of Ballyknler and the gain of Annacloy area which made no numerical difference to the overall area. Cllr Colin McGrath (SDLP) topped the poll and his surplus certainly backed up Gareth Sharvin standing for the first time having been co-opted after the death of Cllr Peter Craig. And the longest serving Councillor in Northern Ireland, Dermot Curran once again polled well for the SDLP continuing his remarkable 41 year life in politics. The DUP candidate Yvonne Moore who polled 144 and Graham Furey (UUP) who took 373 were eliminated in the early stages. 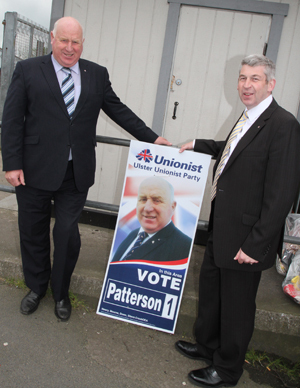 Disappointed: UUP councillors Dessie Patterson and Walter Lyons both failed to get elected. Cllr Terry Andrews who stood last time round as an independent moved over to the SDLP camp in recent months and topped the poll with 1321 seats. The next highest polled was Cllr Robert Burgess (UPP) who took 1145 votes and was elected. But the shock result in this electoral area was siting UUP councillor Walter Lyons losing his seat when he ended up head to head with Alliance rookie Patrick Brown, a university post-graduate, who took substantial transfers from Sinn Féin’s Eddie Hughes beating Lyons 992 to 913. 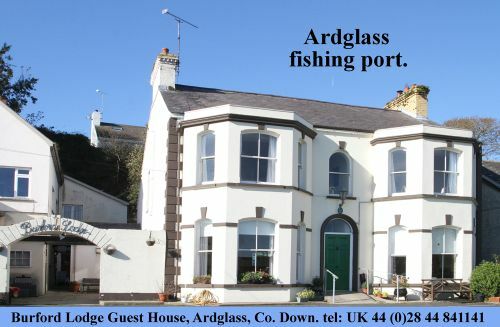 Sinn Féin will be encouraged at identifying potential ground to build a quota up on in this area and although Eddie Hughes did present himself to the electorate later on towards the election, his vote did suggest there was room for his party within the new boundaries to explore in future. The DUP’s Harry Harvey was elected on his first run at Council with 952 votes with his colleague Billy Walker polling 943. Independent Mickey Coogan, formerly Sinn Féin, polled poorly (149) as did NI21 candidate Alistair Straney who was hampered by the internal crisis with his party that broke on the eve of the election. TUV candidate Philip Hamilton also was unsuccessful but polled 433 votes. Sinn Féin’s Cllr Stephen Burns was the only candidate to reach the quota with 1303 first preference votes followed by the DUP’s Cllr Garth Craig on 1021, the sole unionist elected in Slieve Croob. Pol Ó Gribin too was elected for Sinn Féin with 940 votes. The main highlight in this area was the unexpected and dramatic demise of senior South Down unionist Cllr Dessie Patterson who was fighting for the last seat with Alliance Cllr Patrick Clarke. But it was Clarke who overtook Patterson with votes transferring from the SDLP’s third candidate Audrey Byrne that appeared to make the difference and turn the tables. 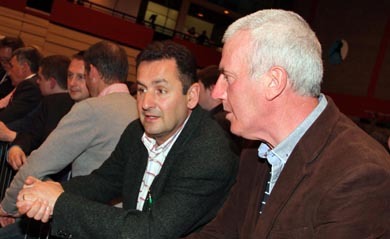 Sinn Fin Councillors Willie Clarke and Sean Doran look on as the count progresses in the Newry Sports Centre. A disappointed Dessie Patterson explained that he felt that the UKIP vote had affected the overall unionist position as little had transferred from UKIP, and he added that unionists had not come out to vote and support him. The UKIP candidate Alan Lewis was also not elected. The SDLP had 3 new candidates running in Slieve Croob and this will certainly be an area they will be looking at closely in future elections in terms of the size of the SDLP vote and the number of quotas. NI21 candidate Matthew Morrison was up against it facing a tough electoral challenge on the eve of the election when his party imploded over a serious internal row within its leadership leaving NI21 (Aspire to Better) severely damaged. It was UKIP Cllr Henry Reilly who topped the poll with a solid 1964 votes. His strong right wing Unionist position was certainly bolstered by the surge in the UKIP votes in the European elections and Nigel Farage’s s recent visit to Northern Ireland. The SDLP’s Laura Devlin who stepped into former Cllr Eamonn O’Neill shoes last December has performed strongly for a first outing in an election and her party will be happy that her surplus pulled colleague Brian Quinn up. As was expected the Séin Fein vote was strong in the Mournes and Cllr Willie Clarke took 1581 votes while Sean Doran took 1513 getting them also elected. NI21’s Annette Holden polled only 148 first preference votes and the UUP’s Jill McCauley and Alliance candidate Ciaran McEvoy all failed to make it. Other Unionists elected in The Mournes along with Henry Reilly were Harold McKee on 1352 (UUP) and the DUP’s Glyn Hanna with 973 votes. 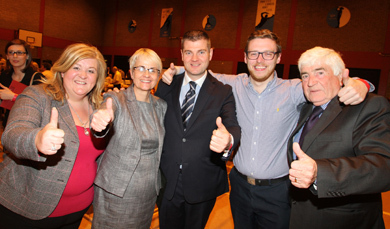 Crotlieve SDLP Councillor Connaire McGreevy suffered a shock defeat. McGreevy who fell foul of the boundary changes. He pulled 757 votes and found it difficult to get the transfers. However, the SDLP had another three candidates elected in this area where they have a reasonably strong hold with Gillian Fitzpatrick, Declan McAteer and Michael Carr. Sinn Féin managed to take 2 seats with Mickey Ruane and Sinead Ennis and their colleague Mark Gibbons did not make the cut. The 2 Unionist candidates William Mitchell (UUP) and W McCullough also were not selected in this mainly nationalist area. Independent Jarleth Tinnelly (740 votes) also scrapped through to take a seat but the other Independent Finbarr Lambe had a mountain to climb as he polled only 258 votes. Sinn Féin polled strongly in Newry as expected with Casey on 1693 and Kimmins on 1567 but a late surge from the SDLP with Kevin McAteeer and Gary Stokes meant that they pulled 2 seats in Newry City. Hyland, a former Sinn Féin member ran as an Independent and was also elected. There was drama in the Slieve Gullion electoral battle as Sinn Féin’s Terry Hearty romped home with a huge 2135 vote, well over the quota, leaving colleague Daire Hughes out on a limb and unelected. As a result the door was opened for the SDLP and Kate Loughran, a fresh face to politics, took a seat with 1078. This was an electoral stronghold with 4 Sinn Féin councillors elected in total including Mickey Larkin, Roisin Mulgrew and Barra O Muiri. The SDLP only claimed 2 seats with Geraldine Donnelly also polling strongly on 1516, and the sole UUP candidate David Taylor also winning a seat with 1243 votes. Overall, there are in the Newry, Mourne and Down Council 28 nationalists, 8 unionists, with 2 Alliance and 3 Independents – giving a total of 41 councillors elected. With both Sinn Féin and the SDLP drawing with 14 seats each, technically the independents and Alliance along with the Unionist block could hold a balance of power in the chamber on key votes. The horse trading will soon begin.